No birthday party would be complete without this Birthday Jamboree Pull String Pinata. 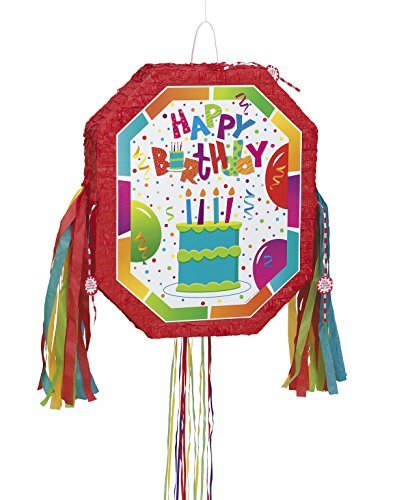 This brightly colored pinata features “Happy Birthday” in lively letters with a birthday cake and an explosion of streamers and confetti, making it both a fun party decoration and party game. For a twist on the classic pinata game, fill this with up to 2 pounds of candy and party favors (sold separately) and have kids take turns pulling the strings until they find the one that will make the sweets and treats pour out.